On 5 September 2013, ZL1ZLD at Musick Point made contact with VK4QC in Queensland on 630-metre CW. 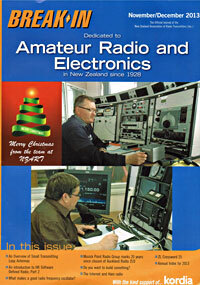 This was the first trans-Tasman contact on the new 630-metre amateur radio band. Operators at ZL1ZLD were Pete ZL1AAM, Paul ZL1BBR and Rick ZL1WOT. ZL1ZLD was using the Dansk transmitter and Marconi Tee aerial. 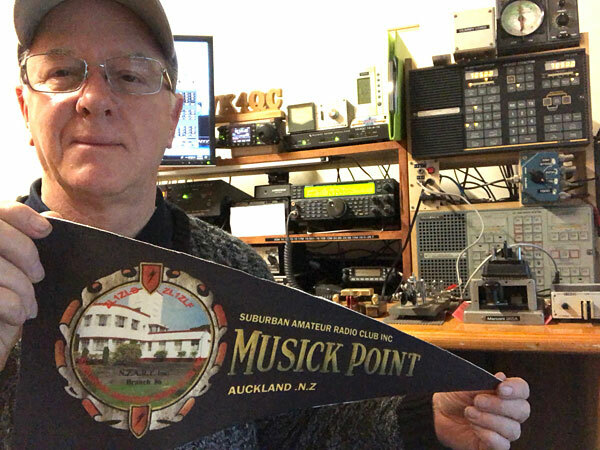 Peter Hewitson VK4QC, pictured in July 2018 with the Musick Point pennant given in recognition of his Trans-Tasman contact with ZL1ZLD on 630 metres. Peter VK4QC is a former ships R/O and coast station operator. He also manages the Australia coast station website Australian MCS which is well worth a visit.